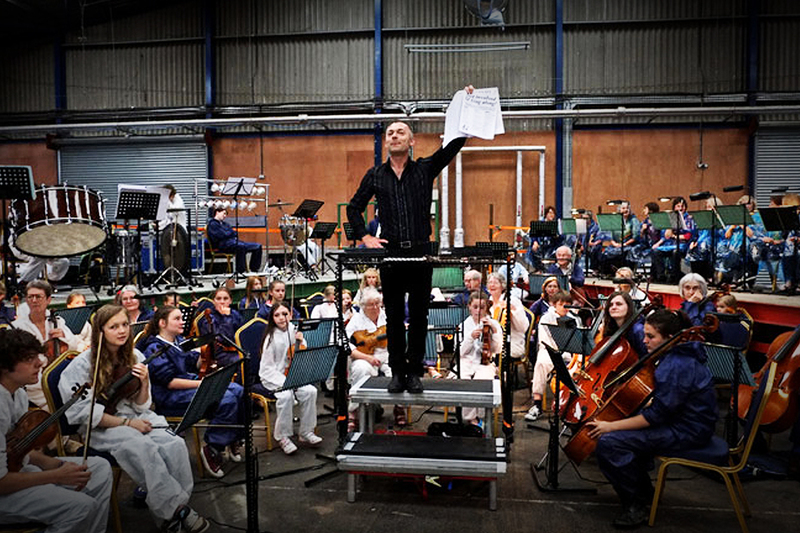 Benjamin Britten’s ‘Noye’s Fludde’ (Noah’s Flood), was a one-day operatic event presented by Orchestival in collaboration with Charles Hazlewood and Kneehigh Theatre. 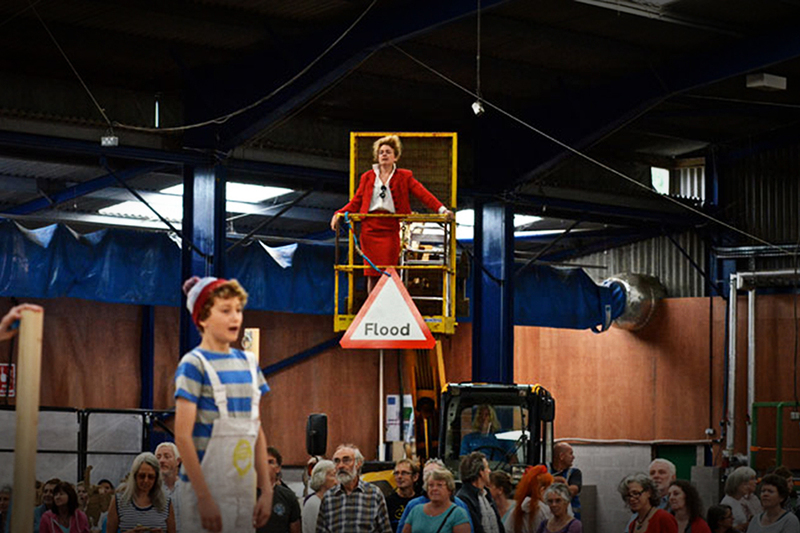 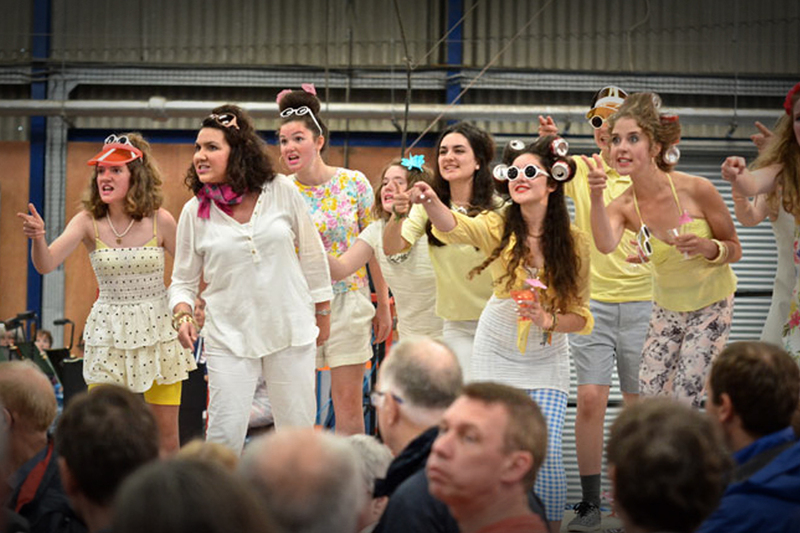 It was staged at the Bath & West Showground in Shepton Mallett to raise funds for the Somerset Levels Flood Relief following the severe winter floods in 2013–2014. 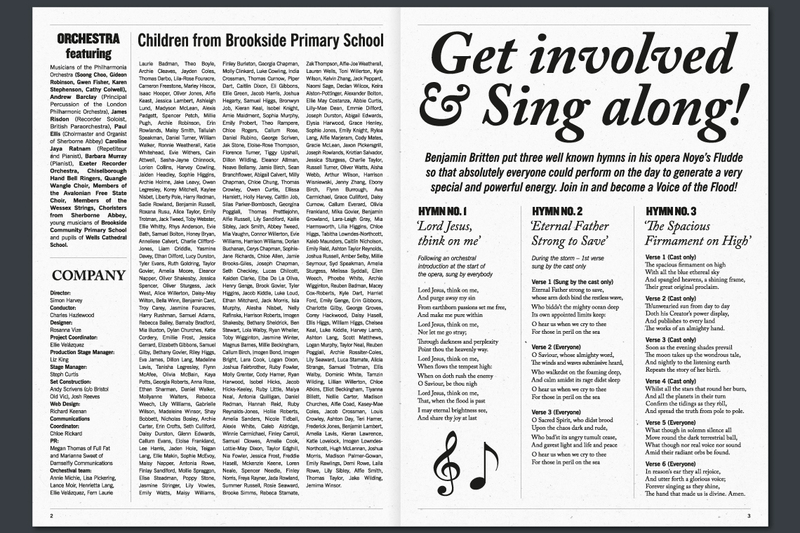 The Philharmonia Orchestra joined opera singers and hundreds of local school children in what was one of the biggest community operas ever seen. 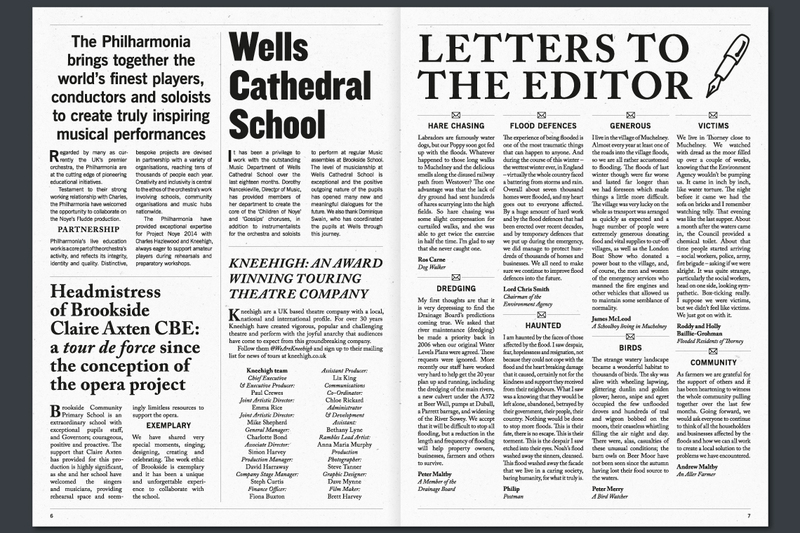 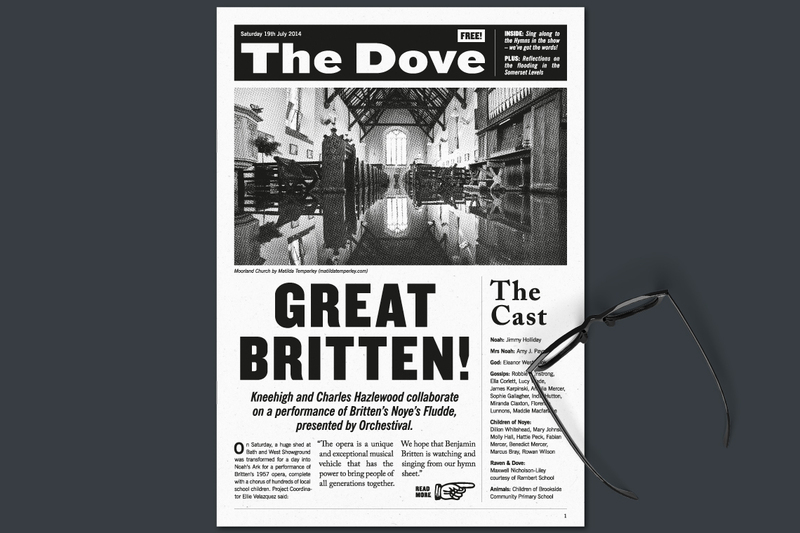 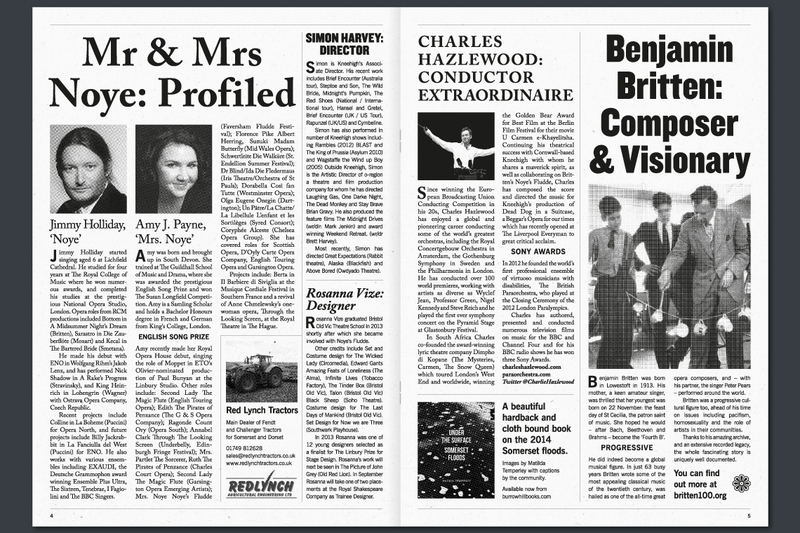 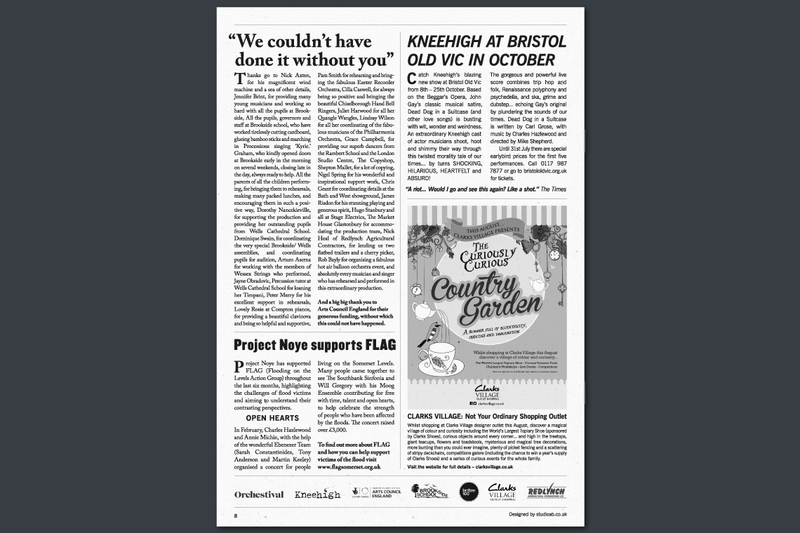 The event programme was designed as a spoof newspaper called ‘The Dove’ which contained articles about the production, cast and song lyrics that the audience could join in with.